The new year brings with it both reflection and goal-setting. As a local non-profit that opened its doors in February 2017, the last year marked The Period Purse's first full calendar year within the community. We have learned and gained so much and cannot wait for 2019's opportunities and lessons. Since day one, The Period Purse has donated 8,718 period purses to marginalized menstruators. We too have given 7,874 refill period packs throughout this timeline. Our volunteers and donors have therefore supported our mission and vision so much so that we have given 16,592 healthy periods to people experiencing homelessness in Ontario and Saskatchewan. Through efforts by the Toronto East and Toronto West chapters, The Period Purse continuously donates product to 65 shelters, respite centres and drop-ins across Canada's most diverse city. Outside of Toronto, we have expanded to seven active chapters. Our volunteers are working to bring menstrual equity to Brantford, Ont., Durham Region, Ont., Mississauga, Ont., Ottawa, Ont., Regina, Sask. and Sault Ste. Marie, Ont. Grateful for growth and to kick-off The Spot's 2019 blog series, we are commemorating 2018 successes and sharing aspirations for the year ahead. We're proud to have brought on our inaugural Board of Directors, made up of five Canadian women-identifying people. Together, we have collaborated on our first-ever Strategic Plan and have already begun to see strong results and positive impact. As we continue to expand, our Board will, too. Keep your eyes peeled for more opportunities to join our Board. The Period Purse and fellow menstrual equity advocates Amanda Laird, author and podcast host, and Councillor Kristyn Wong-Tam, worked with The City of Toronto to recognize May 28, 2018, as Menstrual Hygiene Day, for the first time. Menstrual Hygiene Day raises worldwide awareness of the challenges people face due to their menstruation. Toronto City Council also passed a motion to allocate $2M CAD in the 2019 budget for menstrual products in shelters, drop-ins and health centres. Last year, we also participated our first-ever Giving Tuesday, where we encouraged our followers and friends to contribute $12 CAD a month to our Support a Menstruator program, an opportunity to provide one person experiencing homelessness with the supplies they need to experience a healthy period, every month. May 28, 2019 will mark Toronto's second annual Menstrual Hygiene Day. We're honouring the initiative with an exciting event experience and we can't wait to see you there. We hope to implement our education program Menstruation Nation into 10 high schools and/or post-secondary schools throughout the coming months. Menstruation Nation allows us to continue the #periodtalk and reduce the stigma around periods. The program also encourages students to donate to folks within their community in need of menstrual products. For more information about Menstruation Nation and to launch a chapter of the program in your school, please contact tait@theperiodpurse.com. 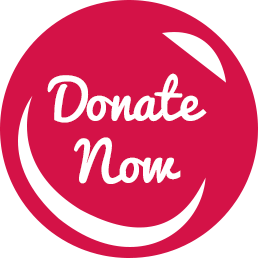 While The Period Purse is a non-profit organization, we are not yet a registered charity. That said, we are working to secure charitable status and will be updating our website with our Charity Registration Number once all aspects of the process are finalized. With an estimated 63,450 menstruators in Canada experiencing homelessness, The Period Purse understands there is no quick fix to this big, bloody problem. We know we need to continue to invest in communities to continue to improve the lived experiences of folks facing marginalization. We recognize that we must continue to meet with decision-makers and ambassadors to spearhead change. We are firm in our belief that through impact, empowerment, dignity, education, kindness, enthusiasm, acts of good and community that long-lasting change can and will take effect. We are ready to tackle the year ahead as advocates for menstrual equity, champions of change and thought-leaders challenging processes. Thank you for supporting our efforts and joining us on the ride. For updates about The Period Purse that go directly to your inbox, sign up for our newsletter. For more information about The Period Purse, watch this video that highlights what we do and why. The video was funded in part by the TD Volunteer Grant. About: When she is not talking about periods, Jana is also a teacher who works in special education. She is a mother of two and lives with her family in Toronto's west end.